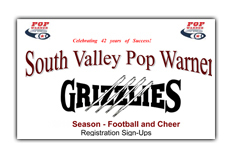 Welcome to South Valley Football & Cheer - Home of the Grizzlies! 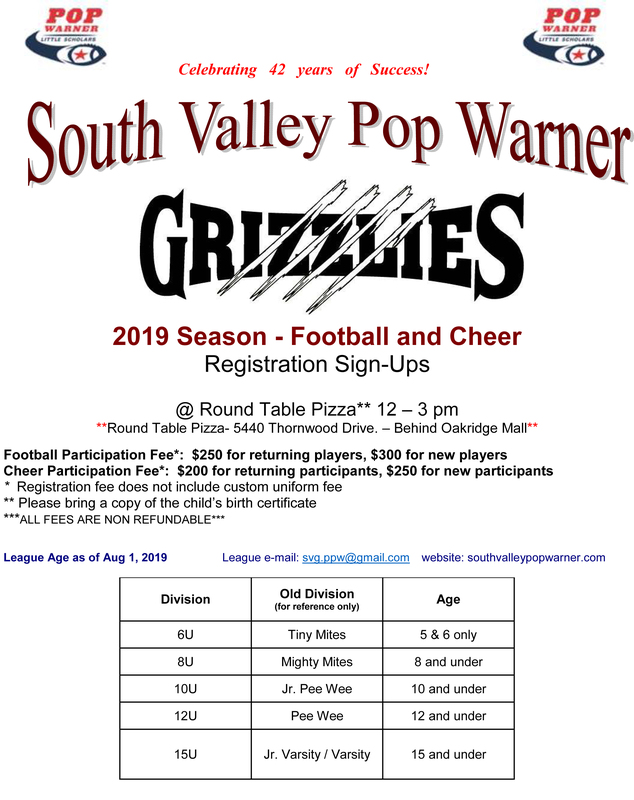 South Valley Pop Warner is a youth organization in South San Jose that is comprised of both youth football players and youth spirit leaders and is affiliated with Pop Warner Little Scholars. We offer a competitive environment that strives to inspire youth to practice the ideals of sportsmanship and physical fitness, as reflected in the life of the late Glenn Scobie "Pop" Warner. Scholastics is also a very important part of our program, with participants expected to maintain a "C" average or higher in school. 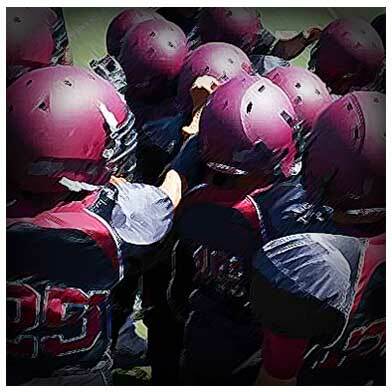 Since 1978, South Valley Pop Warner has made an effort to make the game "fun" for all boys and girls. Our program stresses learning lessons of value far beyond participation, such as: self-discipline, teamwork, concentration, friendship, leadership, and good sportsmanship. Join us to feel the South Valley Grizzly Pride and celebrate our 39th Year! We are proud to continue our long standing relationship with Gunderson and honored to be able to build GRIZZLY pride in our youth, as we prepare them for the next level of play. Together we continue to raise the bar of San Jose Football! WANT TO BE A PART OF SVG?? A waiver request must be submitted with cause by a parent or legal guardian to both Presidents of the affected Associations.